I'm not quite sure how this happened, but I ended up looking at (and very much liking the idea of) Cayenne's about 3 weeks ago. To cut a long story short after only a few days of looking I've ended up buying a 955 turbo to add to the fleet. 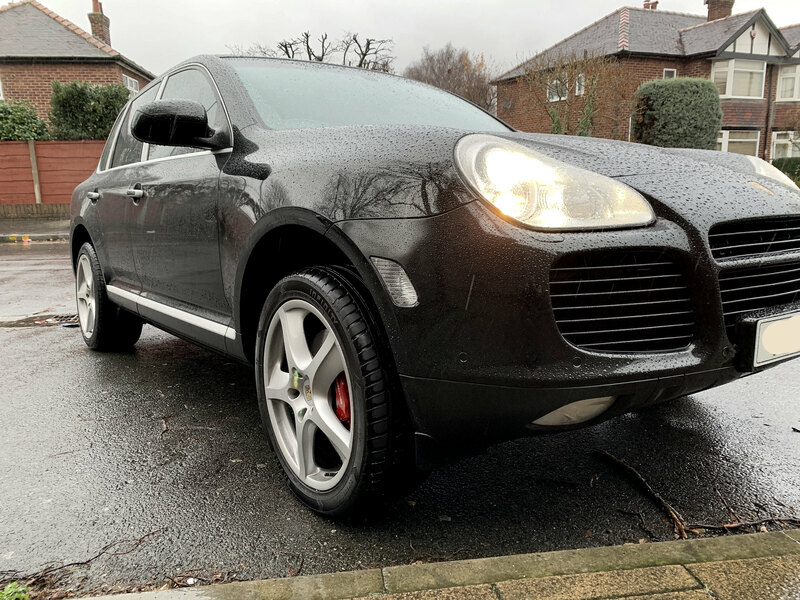 I poured over almost every 955/957/958 on the market, torturing my friends with endless adverts to look at before finally settling on this one. 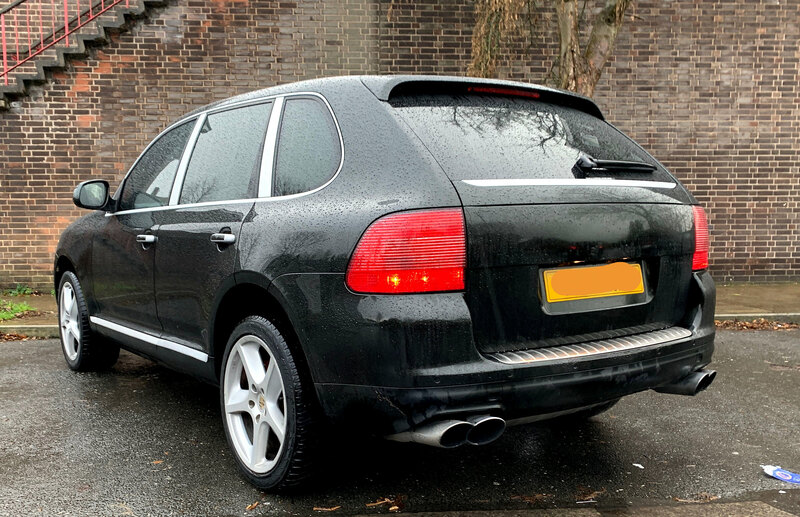 I'll be honest I wasn't a fan of the looks of the 1st gen Cayenne, but when you get up close to them in the metal they actually don't look half bad. The interior is still relatively contemporary, very well appointed and almost S-class quiet. The off-roading ability of the 955/7 is (dare I say it) as good as the Range Rover but the handling and dynamics is incredible for its size and in a league of its own. I'm the 3rd owner, FSH, 90k miles, has had the plastic coolant pipes replaced with the aluminium ones, and is an unusual colour - Opalescent Green. It looks black to me but what do I know? Its an 06 car which is handy as it is the run out of the 955 and so seems to have every extra thrown at it. I've not had chance to clean her up due to it raining in Manchester today and then having to drive it home where I did my first fix (more later). First impressions are superb. Its been reasonably well maintained up til now but the steering is very sharp, the engine is sweet and powerful as you would expect at 450bhp. What surprised me the most was that the seats are more comfortable than the Range Rover, something I didn't think could be possible! One glaring omission from the history is the replacement of the prop-shaft (or 'carden shaft'). This is a well known failure on these cars. A new prop is about £6-700 plus fitting. They have a support bearing about half way down its length to keep it level and stop it sagging/swinging about when it rotates. This bearing is supported by a bracket attached by 2mm thick rubber ring. 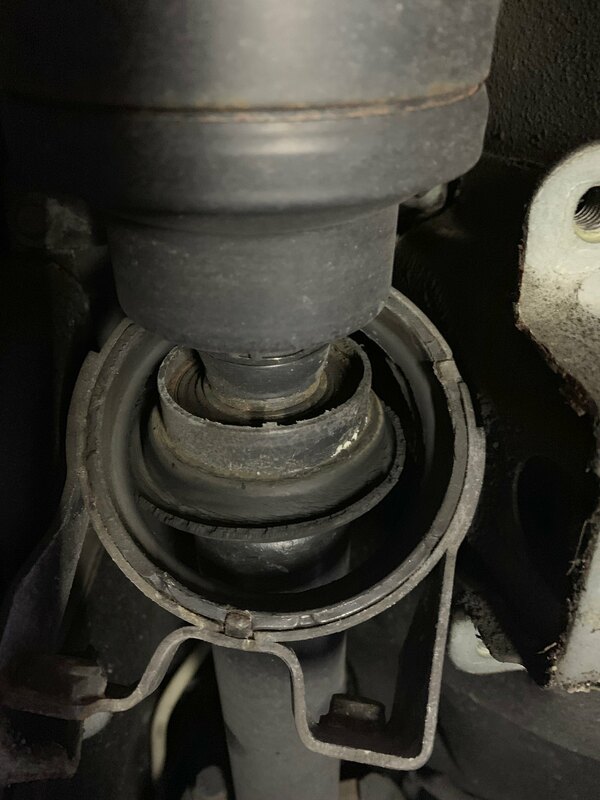 The ring disintegrates by about 60k miles and you get what sounds like a midget banging under the car with a hammer each time you accelerate! The following fix cost me about £5. This one was fine when I picked it up, it lasted the 100 miles home, but one 0-60 flat out pull was all it took for the banging to start. It must have been on its last legs. Its essentially underivable when this happens, you can't help but notice it. Put the car into terrain height - gives you loads of room underneath without needing jacks. Then I zip tied a few of the rubber hoses to the outer circular bracket to stop them moving. Finally put the retaining plate back on and you've done. This took about 1 hour. I've driven it hard since with no more banging, no noise and no issues. There are apparently lots of cars with tens of thousands of miles on this fix in USA. I've got quite a few more little jobs to do but I want to actually clean it next. I've also noticed a slight oil leak from the front nearside. It looks like its coming from around the bottom of the passenger intercooler hose. Anyone know what the common oil leaks are around that area? Brilliant I love the Jimi fix👍🏻, if you’d used black cable ties it would be less noticeable, that’s OCD for you. Was going look at Cayenne but it sold so ended up with RR SC instead. Love the fix, I would have never been able to come up with that. Tonights little investigation was into the (standard on all used Cayenne's) non-functioning parking sensors. Both front/rear aren't working. Plugged the reader in and each and every sensor showed a fault. There was also a 'park assist power fault' present. I cleared the codes, put it into reverse and it still doesn't work. This time the only fault left is the 'power' fault. I'm suspecting a dodgy connection somewhere shorting the whole thing out. Anyone got any pointers of where to look or where to start?? Looks in fine fettle for its age. Is the OS front ditch finder mounted right as it looks like the directional arrows are going backwards??? Those tyres will be in the bin by Monday anyway! Great work with the 'Jimi Fix' and thanks for sharing. 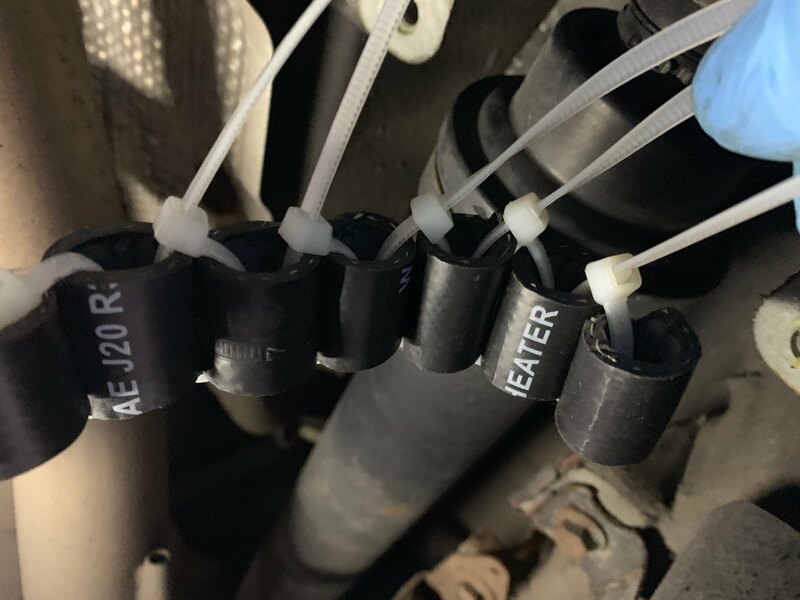 There are some very good DIY fixes over on the Rennlist Forum, which even if you have no intention of doing them yourself anymore (like me) make great reading! Olive green is what we call that colour .. it almost changes colour depending on the light .. i love it .. that or Basault Black . Oil leak .. remove the hose from the bottom of the oil cooler and drain out the oil thats in there .. there may well be quite a bit. It comes from the Turbo and tends to collect there. 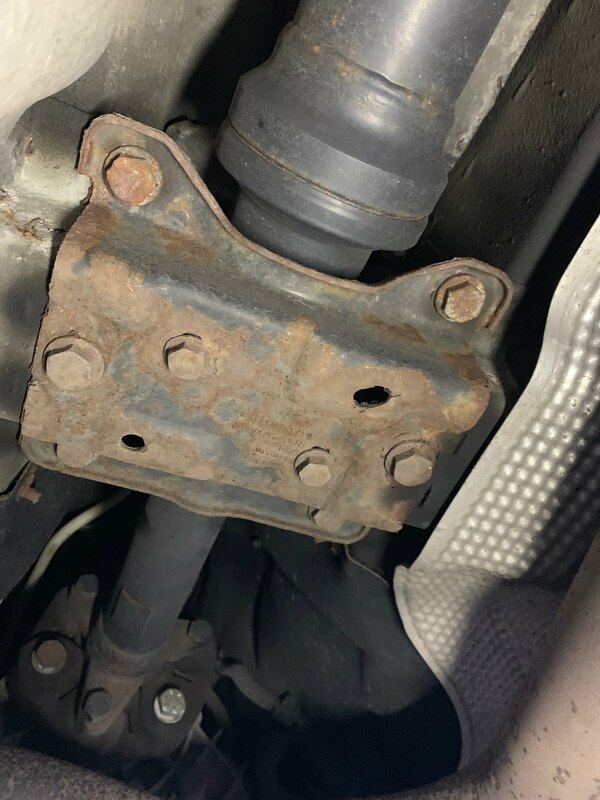 Propshaft .. thats dam clever .. if it lasts then excellent .. if not the cost of propshafts has fallen such that a replacement center bearing is no longer cost effective .. well for garages anyways . Get the oil and filter changed for the Tip box !! The front arch liners at the back of the arch .. easiest with front wheels off but can be done in situe .. sooo .. the rear side of the shock and either with a mirror or a screwdriver then see if the original drain bungs are there... you peer behind the arch liner basically. These are the same as 996/997 next to the battery. If they are there then flick them out with a screwdriver .. i would expect by now though someone like me has already done it . Causes no end of issues with water leaks if left in place . There are also some bungs in the sills both sides .. remove these to make sure theres no water build up then refit .. it gives a sloshing noise if so . Talking of which (water ).. do this for both drivers and pasenger sides .. i need you to look / feel under the front carpets .. we need to make sure its dry .. big problems if not... remove the side trims to get the carpet up .. pictures in my link. 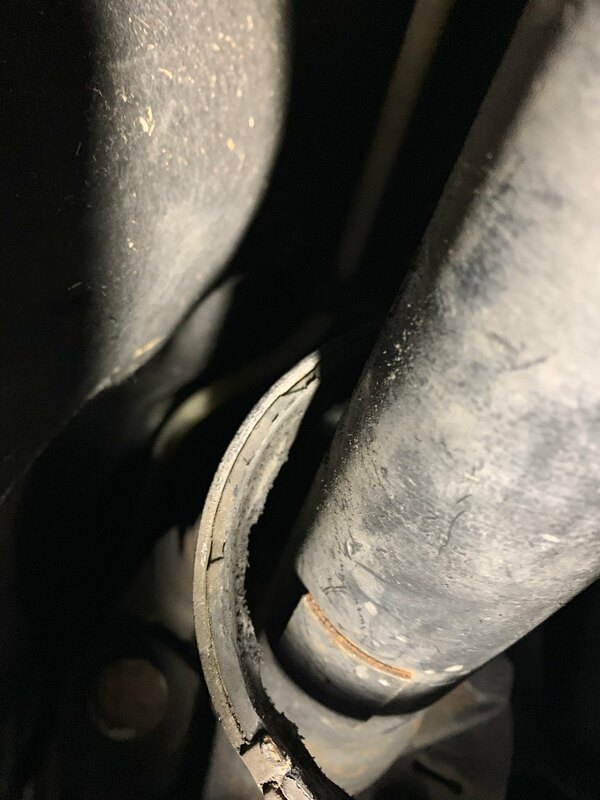 Also make sure your rear washer jet is working .. and best if you never use it in winter .. theres a connection behind the A pillar o/s/f which can come appart (washer pipe ) and water will go straight into a Control unit .. expensive . Theres also another connection above the rear interior light that can come disconnected .. water will drip out of that panel if so . Get a fault code read out of dme and tip please .. let me know any codes . 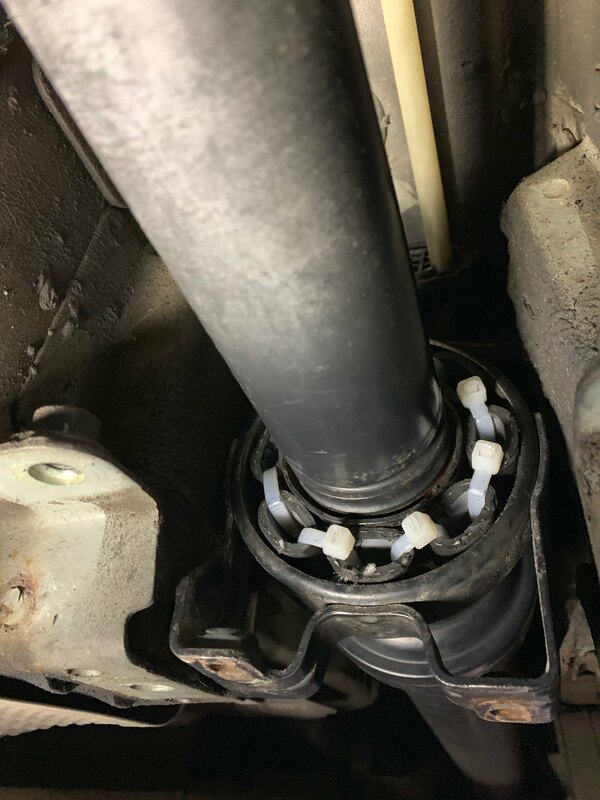 Parking sensors .. usual problem is either a single sensor or the main plug that connectes the bumper wiring to the car .. for the rear then its on the n/s/r and behind the liner / pu .. you can just about get at it from under the car. Front and i forget which side but i think its o/s/f and again behind the liner. Basically unplug and see what condition the pins are. Id have a good look at the fuses as well .. x2 boards and at each end of the dash. There are more by the battery..
Aghhh .. a tip .. if you want to get at the battery .. pull the x2 plastic panels out each side of the n/s/f seat at the front.. undo the spline bolts , remove the rear plastic panels over the seat runners and the seat will tilt backwards . @DeMort - superb post! Muchas Gracias for all that, I'll be getting on it this weekend. No codes on the DME/TCU other than the parking sensor codes. I'll investigate the connectors first and go from there.